As part of his State Visit to Sri Lanka, His Excellency Ibrahim Mohamed Solih, President of the Republic of Maldives, led a delegation of Maldivian dignitaries in bilateral talks with their Sri Lankan counterparts, led by His Excellency Maithripala Sirisena, President of the Democratic Socialist Republic of Sri Lanka. Describing the Maldives as a close friend and neighbor, President Sirisena reassured of his government’s unwavering commitment and support towards the Maldives. 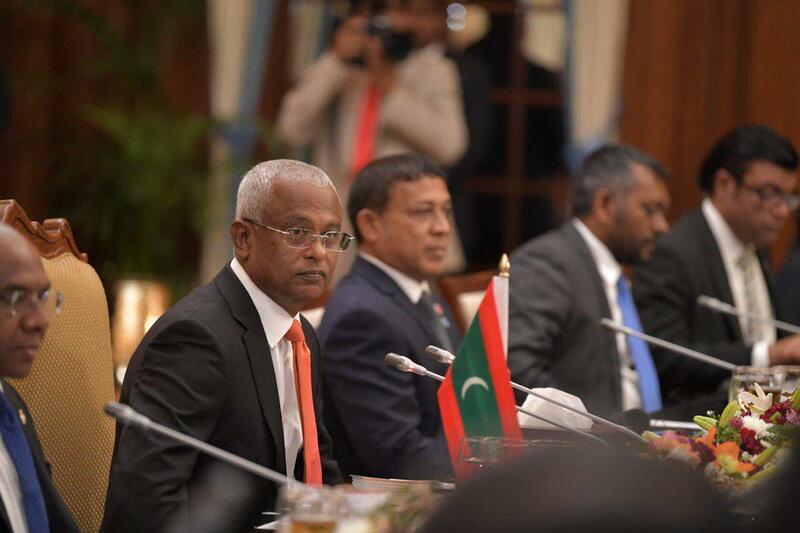 President Solih in turn noted the manifold contributions made by Sri Lanka towards the Maldives and expressed his desire for further cooperation on mutually beneficial areas. Both Presidents emphasized the importance of building on existing partnerships encompassing such areas as economics and trade, fisheries, health, tourism, environment - and especially climate change, to which island nations such as the Maldives and Sri Lanka remain particularly vulnerable. Presidents Solih and Sirisena, further agreed that both countries confront similar social ills such as those associated with the use and trafficking of illicit drugs, which can only be met by sustained collaborative efforts. 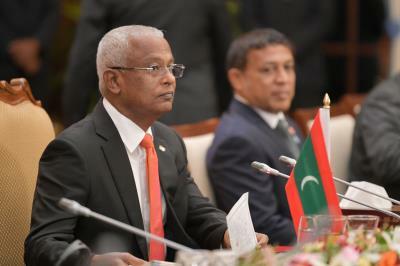 President Solih highlighted that regional cooperation is an important priority for his administration. This same sentiment was reiterated by President Sirisena who stressed on the importance of working together in maintaining regional security. He further emphasized that it is imperative that all South Asian countries must work together to ensure peace and safety of the region.